There is a well worn route for British golfers seeking sun. Most head to the delectable courses of Spain and Portugal, where players know what they will get, but will be paying premium rates for the privilege. Why not travel a little further, to sample some first-class courses at second rate prices - in Turkey? Served by Monarch from various airports in the UK, the best courses the country has to offer are located in the south-west region of Belek. To get your juices flowing, we list the best courses in the region. Located beside a river estuary, Lykia Links is one of the best tracks not just in Belek, but Turkey as a whole. This classic links test boasts natural sand dunes, meandering fairways, and stunning vistas. This lengthy test was the brainchild of Perry Dye – son of famous designer Pete Dye – and is a stern outing, with large waste areas and sand traps looking to spoil the scorecard. A stunning layout, and one that should be on every golfer’s list when they visit Turkey. Head to the Lykia website for more inforamation. A million heather plants were grown in order to take a taste of England to Turkey at the Carya golf club. Fairways meander through a sand ridge, lined with pine and eucalyptus trees – it’s a truly unique Turkish test. Boasting the longest hole in the country – the 621-yard 6th – Carya is a course you will not forget in a hurry. Also boasts some of the best greens in the region. Head to Carya's website for more information. Antayla Golf Club, Belek, was designed by David Jones and European Golf Design, and is a tough but entertaining track for all capabilities. Players navigate their way through woods, with water featuring abundantly on both nines. Bunkers surround the greens, while pot bunkers litter fairways. A stunning 448-yard par-four finishing hole requires players to have their wits about them, with the green surrounded by water, and five bunkers. Head to Antalya Golf Club's website for more information. Host of the inaugural Turkish Airlines Open in 2013, Montgomerie Maxx Royal runs through pine forest, and boasts eight lakes. Monty’s layout utilises the naturally sandy, rolling landscape, and the Scot had one eye on sustainability while he designed the track. Sand traps play a major role in the course’s defence. Wide fairways and little rough means players can open their shoulders on the tee box without too much worry. 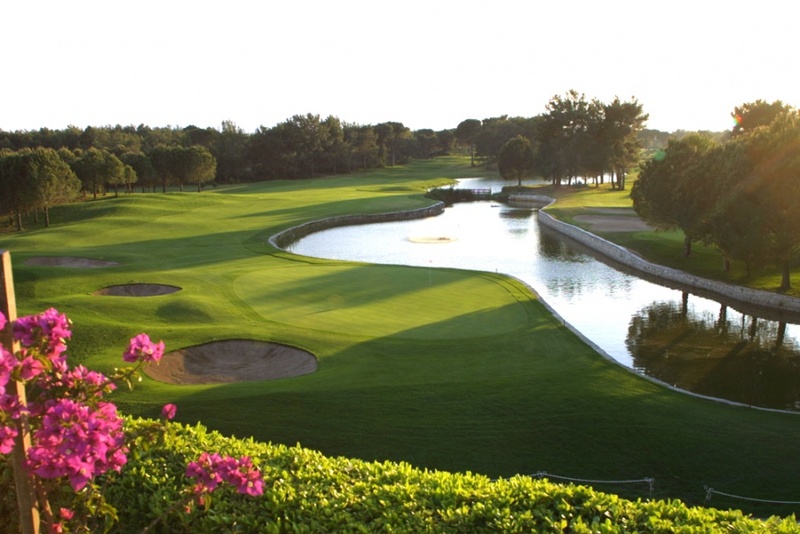 Head to Montgomerie Maxx Royal's website for more information. 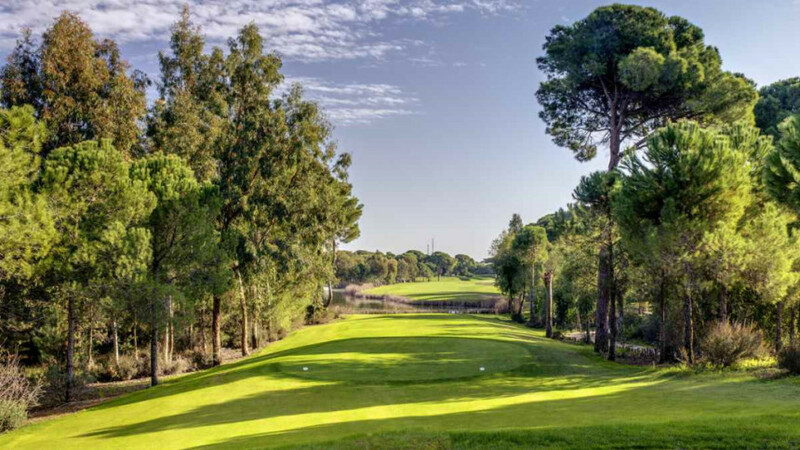 Faldo Design’s layout in Belek runs through pine forest, and is located on naturally sandy ground. Players must be accurate off the tee, with relatively narrow fairways on show– the rough is also tough to recover from, and water awaits on many holes. Fast, undulating greens make putting a joy, but require a steady hand at all times. Head to Cornelia's website for more information. Opened for play in 1997, French designer Michel Gayon plonked his course in stunning surroundings, with vistas of the Taurus Mountains and surrounding forest on show throughout. Water and pine trees are prominent features, but there is little rough to speak of, making this a playable course for all handicaps. The course is kept in a superb conditions, with green fluffly fairways, and slick, true greens. Head to the Gloria website for more information. Located next to its sister, the New layout is an easier test that the Old, with wider fairways on most holes. Again, the layout boasts lots of water and pine trees, and it comes to life on the stunning back nine. The par-three 17th is a mesmerising hole, offering up an island green. Conditions are similarly superb to that seen on the Old Course – if you come to play at Gloria, make sure you make time for both tracks. Head to Gloria's website for more information. Situated in rolling land with copious pine and eucalytus trees, National Antalya utilises a river that winds its way through the course, popping up on numerous holes. The holes each pose a different test, which will keep all standards interested. Greens run fast, and are generally tough. Head to National Antayla's website for more information. Birthed by Bristolian Bob Hunt, Sueno’s Pines course is aptly named, as it routes its way through 400 acres of sandy land, replete with pine trees. Strategic bunkering and water hazards feature throughout, and undulating fairways force players to think about their landing spot off the tee. The greens are relatively large, but undulating, which can lead to some testing jabs from distance. Head to Sueno's website for more information. For flight information, head to Monarch's website.